As promised in our last post here are images and a short video from one of our latest finished garden makeovers. At the beginning of this video you can see an original view showing where the hedge and lamppost had to be removed for access to the proposed driveway. 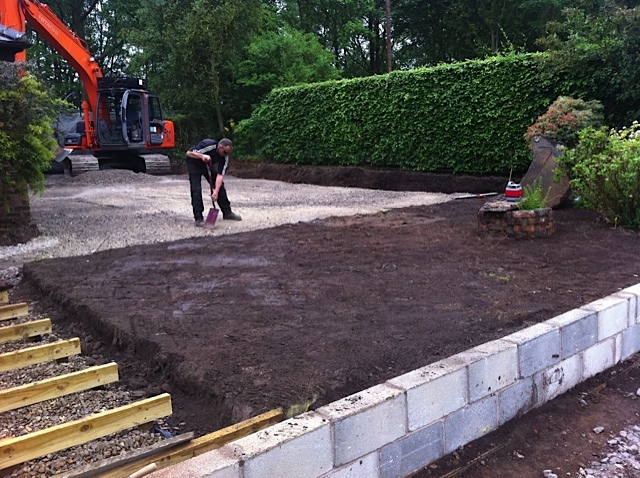 The footage then takes you through the demolition phase and on the finished product! On the left are the stunning new gates, both practical and good-looking. 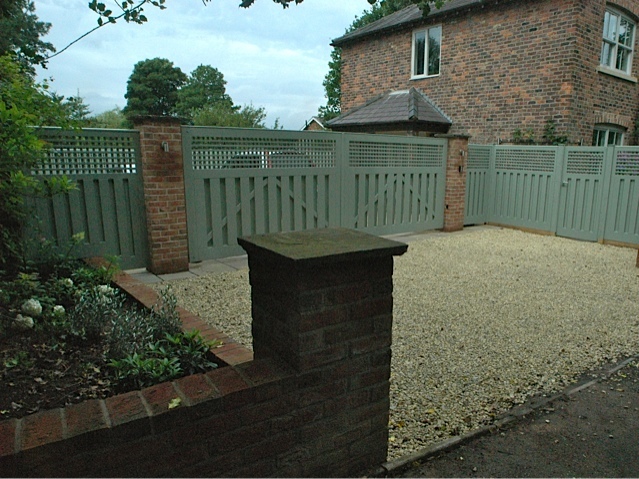 The soft grey/green paintwork and the smooth vacuum treated timber create a welcome alternative to dull traditional gate. 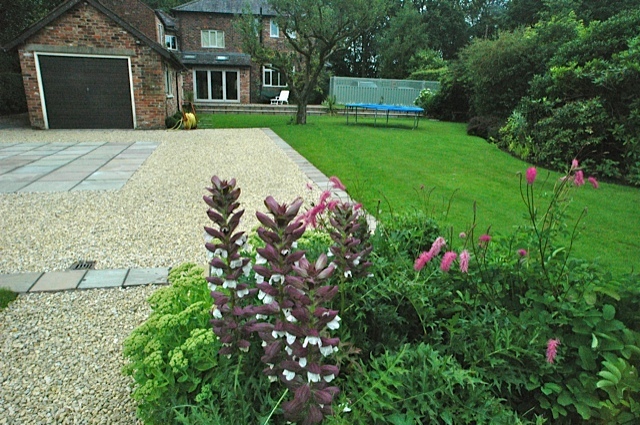 On the right is the finished garden shown from the same vantage point as above. 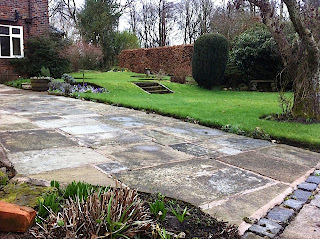 Below shows the original garden ...in need of some refurbishment. 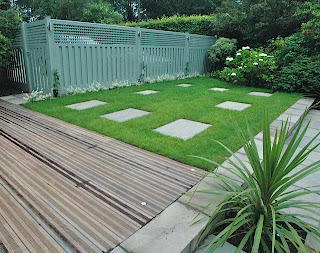 The clients requested a fresher more contemporary feel. The completed scheme (on the left) as viewed from the driveway area.....is both simple and elegant. 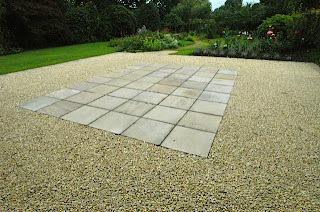 The crushed Cotswold chippings have been detailed with Indian Stone paving, and the rest of the garden has been simplified giving a more contemporary feel. Another view (this time looking away from the house) The parking area has been defined within the Cotswold chippings driveway and helps break up what would have been a very large area of just one material.